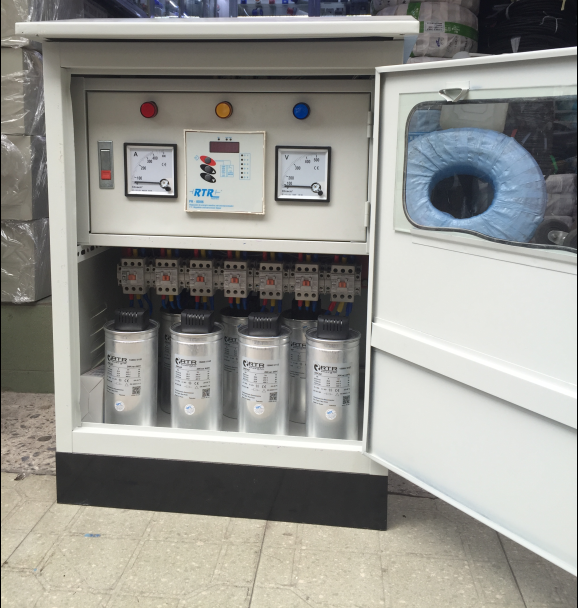 Quan Pham Company has a team of engineers specialized in assembling electric power capacitor cabinets (cabinets capacitor – the company product assembly Quan Pham electrical safety IEC standards – high aesthetic assembly, expertise in the way now connected. – The voltage is raised about 10 to 15 volts. – The intensity of the existing power line phase after the device is greatly reduced compensation per phase, depending on the amount needed to offset compensation coefficients COS phi, The unit can be installed additional production equipment Moteur, no need to enhance or replace transformers with larger capacity. – Monthly non-payment of some idle money on your electric bill is payable. Our company is looking forward to consulting, support, test helps you. Once again wish you should be noted further attention on this important stage. Also, with a staff of engineers automatic control department, the company is consulting and construction of electrical systems, installation of control cabinets required by you. Installation design the report – processing phase loss, automatically.